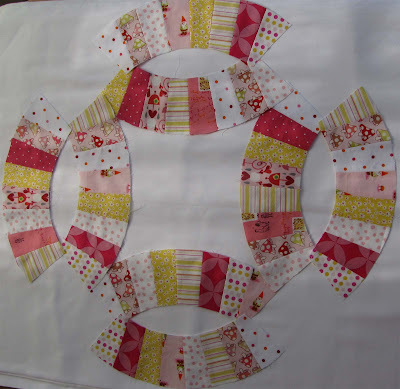 Charise Creates: Finally some sewing projects! I've finally been doing a bit of sewing. I started this quilt and really like how it is turning out. It is called a "pickle dish" and is alot like a double wedding ring design. 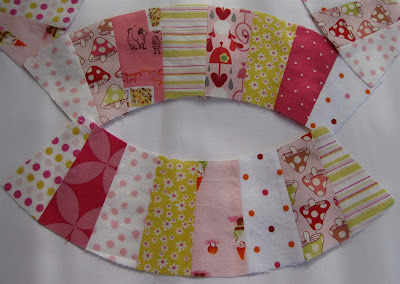 I'm following this tutorial from Aneela who just designed the most adorable line of fabrics for Moda. Can't wait to get my hands on them! A detail - loving how the Heather Ross Gnomes and Ice Cream Truck prints look in here! And last, a few squares of a gnome and mushroom quilt. I have lots of work ahead but am loving every minute of it! !